NO PURCHASE OR PAYMENT NECESSARY TO ENTER OR WIN. MAKING A PURCHASE DOES NOT INCREASE CHANCES OF WINNING. Entrants are providing information to “Sponsor” (as defined below) and not to Twitter, Instagram or Facebook. 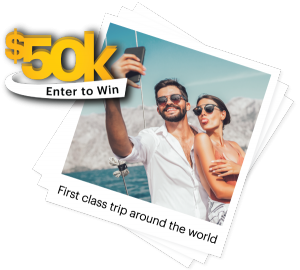 THIS SWEEPSTAKES IS INTENDED FOR PARTICIPATION IN THE FORTY-EIGHT (48) CONTIGUOUS UNITED STATES AND THE DISTRICT OF COLUMBIA ONLY AND WILL BE GOVERNED BY U.S. LAW. DO NOT ENTER IF YOU ARE NOT ELIGIBLE AND LOCATED IN ONE OF THE FORTY-EIGHT (48) CONTIGUOUS UNITED STATES OR THE DISTRICT OF COLUMBIA AT THE TIME OF ENTRY. 1. DESCRIPTION: The “Honda Fill My Garage Sweepstakes” (the “Sweepstakes”) begins on or about Tuesday, April 5, 2016 at 9:00:00 a.m. Pacific Standard Time (“PST”) and ends on Monday, May 2, 2016 at 11:59:59 p.m. PST (the “Sweepstakes Period”). 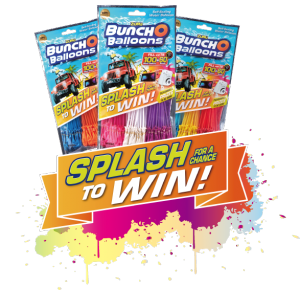 The Sweepstakes consists of a random drawing (the “Sweepstakes”) wherein the Grand Prize will be awarded in a random drawing from all eligible entries received during the Sweepstakes period. To enter eligible entrants (each, an “Entrant” and collectively, “Entrants”) must post a photo showcasing their garage or other place where entrant parks a vehicle (the “Submission”) to Instagram, Twitter along with the hashtag #FillMyGarageSweepstakes (the “Entry Hashtag”) or to Facebook as directed below. 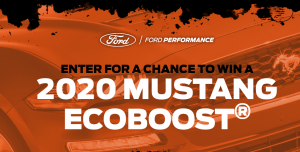 The Sponsor of this Sweepstakes is American Honda Motor Co., Inc., 1919 Torrance Boulevard, Torrance, CA 90501 (“Sponsor”). The administrator of this Sweepstakes is Creative Zing Promotion Group (“Administrator”), 189 South Orange Avenue, Suite 1130A, Orlando, FL 32801. Entrant must NOT be an employee of Sponsor, Administrator, Rubin Postaer and Associates, their marketing or promotion agencies, those involved in the production, development, implementation or handling of this Sweepstakes, any agents acting for, or on behalf of the above entities, their respective parent companies, officers, directors, subsidiaries, affiliates, licensees, service providers, prize suppliers and fulfillment companies, any other person or entity associated with this Sweepstakes (collectively, the “Sweepstakes Entities”) nor can Entrant be an Immediate Family Member and/or Household Member of such persons. For purposes of the Sweepstakes “Household Members” shall mean those people who share the same residence at least three months a year; “Immediate Family Members” shall mean parents, step-parents, legal guardians, children, stepchildren, siblings, stepsiblings or spouses. 3. HOW TO ENTER & SUBMISSION REQUIREMENTS: For Twitter or Instagram entry, Entrant must log into his/her Twitter or Instagram account, tag @Honda and post their Submission during the Sweepstakes Period. For Facebook entry, Entrant must “comment” on a Sweepstakes related Sponsor post with his/her Submission during the Sweepstakes Period. Submission can feature a garage, driveway, parking space and/or any place where a vehicle can be parked. Each Submission must also include the Entry Hashtag. Entrant’s Twitter or Instagram account must be set to public in order to participate in this Sweepstakes. Once an entry is complete, the Entrant will receive one (1) entry into the Sweepstakes. All Submissions must be received by Monday, May 2, 2016 at 11:59:59 pm PST. Limit one (1) entry per person regardless of method of entry. Any attempt by an Entrant to obtain more than the stated number of entries by using multiple identities, registrations, logins, and/or any other methods will void such Entrant’s entry and that Entrant may be disqualified from the Sweepstakes. 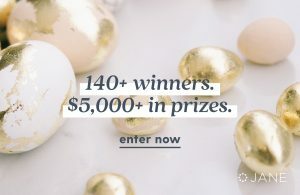 Use of the Entry Hashtag and entry of a Submission into the Sweepstakes constitutes Entrant’s understanding of, full and unconditional agreement to, and acceptance of these Official Rules. Sponsor’s decisions are final in all matter relating to this Sweepstakes. Sponsor reserves the right to disqualify any Entrant that Sponsor determines to be in violation of any term contained in these Official Rules. Sponsor’s decision not to enforce a specific provision of these Official Rules does not constitute a waiver of that provision or of the Official Rules generally. All information provided by Entrants becomes the property of Sponsor. ELIGIBLE ENTRANTS MUST ENTER IN ACCORDANCE WITH THESE OFFICIAL RULES. NO OTHER METHOD OF SUBMISSION WILL BE ACCEPTED. g) Submission must NOT include the names and/or likenesses of individuals other than the entrant without the individual’s written consent. Sponsor reserves the right, in its sole discretion, to disqualify any Submission that is ineligible, incomplete, non-compliant or otherwise objectionable. Each entrant hereby agrees to indemnify and hold the Sweepstakes Entities, Judging Panel and their successors and assigns harmless from and against any and all third party claims, actions or proceedings of any kind and from any and all damages, liabilities, costs and expenses relating to or arising out of any breach or alleged breach of any of the warranties, representations, covenants or obligations of entrant hereunder. IMPORTANT NOTE: Without in any way limiting the effect of the rest of these Official Rules, any entrant who incorporates any intellectual property owned by a third party into his or her entry without permission does so at his or her own risk. 4. WINNER SELECTION & NOTIFICATION: On or about May 9, 2016, the Administrator will conduct a random drawing from all eligible Sweepstakes entries received during the Sweepstakes Period to select the potential Sweepstakes Grand Prize winner. The Potential winner will be contacted via a direct message on Twitter, Instagram or Facebook on or about May 10, 2016 with instructions on how to confirm eligibility and claim the prize. IT IS THE ENTRANT’S SOLE RESPONSIBILITY TO ASSURE THAT HIS/HER PRIVACY SETTINGS ALLOW FOR THE SPONSOR’S OFFICIAL TWITTER, INSTAGRAM OR FACEBOOK PAGE TO CONTACT HIM/HER VIA MESSAGE. The Potential winners will be required to respond (as directed) to the notification within seventy-two (72) hours of first attempted notification. The failure to respond timely to the notification may result in forfeiture of the prize. The Potential winners will be required to verify their address and complete, sign, and return within five (5) days of receipt an affidavit of eligibility, a liability release, and, unless prohibited by law, a publicity release and other legal documents as may be required by Sponsor in its sole discretion (collectively, the “Prize Claim Documents”) covering eligibility, liability, advertising, publicity and media appearance issues. The failure to respond timely to the notification may result in forfeiture of the prize and, in such case, Administrator may select and attempt to contact an alternate winner from the remaining eligible entries received. A prize will not be awarded until all such properly executed forms are returned. Administrator and/or Sponsor reserve the right to disqualify anyone not fully complying with the Official Rules; and, upon disqualification, prize will be forfeited without compensation of any kind. An IRS Form 1099 will be issued in the name of the Grand Prize Winner for the actual value of the Grand Prize received. Grand Prize Winner must provide his or her Social Security Number in accordance with Internal Revenue Service regulations. The IRS Form 1099 will be issued for the calendar year in which the prize was delivered and fulfilled. 5. 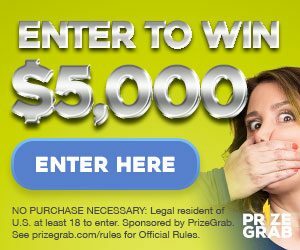 ODDS OF WINNING: The odds of winning the Grand Prize depend on the total number of entries received throughout the Sweepstakes Period. c.) $10,000.00 in the form of a check. Vehicle prize includes destination charges and handling only. Vehicle awarded may differ from Vehicle shown in promotional materials. Vehicle color and equipment will be determined by Sponsor, in its sole discretion; any upgrades and options are at the sole expense of the Winner. Winners will be responsible for all taxes (federal, state, local and/or income) and all expenses not listed, including but not limited to travel to and from the participating Honda dealership, related to acceptance and use of the Vehicle, including optional equipment, title, license, insurance and registration fees required in claiming the Vehicle. American Honda Motor Co., Inc. will use all reasonable efforts, subject to availability, to deliver vehicle within 120 days of receipt of completed Affidavit/Release. Sweepstakes Entities are not responsible for delays in delivery. 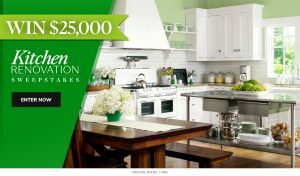 Grand Prize Winner must take delivery of prize Vehicle within 30 days of notice of availability from the Sponsor-selected dealer near Grand Prize Winner’s residence. Grand Prize Winner must present a valid driver’s license issued in his/her state of residence and evidence of legally required insurance at time of delivery. Grand Prize Winner will also be responsible for sales tax, luxury tax, extended warranties, registration, license, insurance fees, title, plates and cost of any available upgrade and/or optional equipment not provided with vehicle. Administrator reserves the right to disqualify anyone not fully complying with the Official Rules. 7. PUBLICITY RIGHTS & RIGHTS RELEASE: Each Entrant hereby grants to the Sponsor and its designees the irrevocable, royalty-free right to use, copy, transmit, distribute, adapt, modify, delete, display or make derivative works of the Entrant’s Sweepstakes Submissions, Entrant’s name and Twitter, Instagram or Facebook image and handle for use in Sweepstakes-related social media, publicity and promotion and for purposes of Sweepstakes administration. Each Entrant agrees and acknowledges that participation in the Sweepstakes, including, without limitation, the Entrant’s decision to upload or post a Submissions for purposes of the Sweepstakes, shall not give rise to any confidential, fiduciary, implied-in-fact, implied-in-law, or other special relationship between the Sweepstakes Entities and Entrant, does not place the Sweepstakes Entities in a position that is any different from the position held by members of the general public with regard to elements of the Entrant’s entry, and that the only contracts, express or implied, between the Sponsor and its designees and Entrant is as set forth in these Official Rules and any additional release forms. By submitting a Submission, you agree that your Submission is gratuitous and made without restriction, and will not place Sponsor under any obligation that Sponsor is free to disclose or otherwise disclose the ideas contained in the Submission on a non-confidential basis to anyone or otherwise use the Submission without any additional compensation. You acknowledge that, by acceptance of your Submission, Sponsor does not waive any rights to use similar or related ideas previously known to Sponsor, or developed by its employees, or obtained from sources other than you. In consideration of Entrant being confirmed as a Winner, such Winner grants to the Sponsor and its designees the exclusive, irrevocable, fully paid, universal license to use, copy, edit, sublicense, make derivative works, transmit, distribute, publicly perform, publish, delete or display his/her Submission, Twitter, Instagram or Facebook handle and Twitter , Instagram or Facebook image, photo, name, likeness, biographical data, city, state of residence and quotations furnished by the Winner (the “Materials”) in advertising, marketing, programming or promotional materials, worldwide in perpetuity in any media now known or hereafter devised including, but not limited to all forms of electronic media, print media and all forms of internet and wireless protocol and on a winners’ list, if applicable, without further compensation unless prohibited by law. 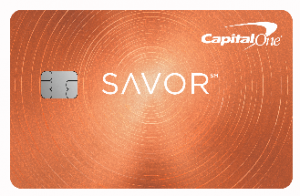 Winner understands that his or her name and Materials may be posted on the Sponsor’s website and/or social media profiles in connection with the Sweepstakes. Winner agrees that the Sponsor and its designees have no obligation to post any Material. Winner releases the Sweepstakes Entities, and their assigns and licensees, from any and all claims or liability (now known or hereafter arising), including but not limited to any claims for defense and/or indemnity, in connection therewith. 8. CONDITIONS OF PARTICIPATION: Sponsor, in its sole discretion, may designate the Administrator to handle winner selection, notification and fulfillment tasks on Sponsor’s behalf. All federal, state and local laws and regulations apply. 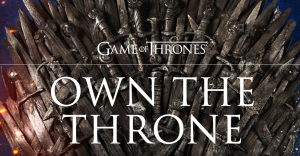 By participating, each Entrant agrees to be bound by these Official Sweepstakes Rules and the decisions of the Sweepstakes Entities, which shall be final in all respect. 9. DISCLAIMER OF WARRANTIES; RELEASE; LIMITATION OF LIABILITY: By participating in this Sweepstakes and/or by accepting any prize, each Entrant agrees to release the Sweepstakes Entities and each of their respective advertising agencies, successors, employees, agents, representatives and assigns (collectively, the “Released Parties”) from any and all actions, claims, losses or damages arising in any manner, directly or indirectly, from participation in this Promotion and/or acceptance or use of a prize, including any travel related thereto. The Released Parties shall not be liable for: (i) any injuries, losses, liabilities or damages of any kind including personal injury or death caused by the prize or resulting from acceptance, possession, use or misure of a prize including participation in any activity related thereto, or from participation in the Sweepstakes, including any travel related thereto; (ii) telephone system, telephone or computer hardware, software or other technical or computer malfunctions, lost connections, disconnections, delays or transmission errors; (iii) data corruption, theft, destruction, unauthorized access to or alteration of entry or other materials; (iv) late, lost, delayed, stolen, misdirected, postage-due, incomplete, unreadable, inaccurate, garbled or unintelligible entries, communications or affidavits, regardless of the method of transmission; (v) any inability of winner to accept or use any prize (or portion thereof) for any reason and such prize or portion thereof shall be forfeited; or (vi) any printing, typographical, human administrative or technological errors in any materials or activities associated with the Sweepstakes. Sweepstakes Entities disclaim any liability for damage to any computer or mobile system resulting from participating in, or accessing or downloading information in connection with this Sweepstakes. Sweepstakes Entities reserve the right, in their sole discretion, to cancel, modify or suspend the Sweepstakes (or any portion of the Sweepstakes) at any time for any reason or should fraud, a virus, bug, computer problem, unauthorized intervention, extenuating circumstance or other problem/cause corrupt or inhibit the administration, security or proper play of the Sweepstakes and, in such situation, will select the winners from eligible non-suspect entries received prior to and/or after such action or in such manner as deemed fair and appropriate by the Sweepstakes Entities. Sweepstakes Entities may prohibit Entrant from participating in the Sweepstakes or winning a prize if, in its sole discretion, it determines Entrant is attempting to undermine the legitimate operation of the Sweepstakes by cheating, hacking, deception, or any other unfair practices or intending to annoy, abuse, threaten or harass any other Entrants or Sweepstakes Entities representatives. As a condition of entering, Entrants agree (and agree to confirm in writing): (a) under no circumstances will entrant be permitted to obtain awards for, and participant hereby waives all rights to claim, punitive, incidental, consequential, or any other damages, other than for actual out-of-pocket expenses; (b) all causes of action arising out of or connected with this Sweepstakes, or any prize awarded, shall be resolved individually, without resort to any form of class action; and (c) any and all claims, judgments, and award shall be limited to actual out-of-pocket costs incurred, excluding attorneys’ fees and court costs. 10. GOVERNING LAW/JURISDICTION: ALL ISSUES AND QUESTIONS CONCERNING THE CONSTRUCTION, VALIDITY, INTERPRETATION AND ENFORCEABILITY OF THESE OFFICIAL RULES OR THE RIGHTS AND OBLIGATIONS OF ENTRANTS OR SPONSOR IN CONNECTION WITH THE SWEEPSTAKES SHALL BE GOVERNED BY AND CONSTRUED IN ACCORDANCE WITH THE INTERNAL LAWS OF THE STATE OF CALIFORNIA WITHOUT GIVING EFFECT TO ANY CHOICE OF LAW OR CONFLICT OF LAW RULES OR PROVISIONS THAT WOULD CAUSE THE APPLICATION OF ANY OTHER STATE’S LAWS. 11. DISPUTES: This Sweepstakes is governed by the laws of the United States and the State of California, without respect to conflict of law doctrines. 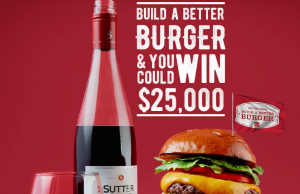 As a condition of participating in this Sweepstakes, participants agree that any and all disputes which cannot be resolved between the parties, and causes of action arising out of or in connection with this Sweepstakes, shall be resolved individually, without resort to any form of class action, exclusively before a court located in California having jurisdiction and shall be governed by, and construed in accordance with, the laws of the State of California, U.S.A., without giving effect to the conflict of laws rules thereof. Further, in any such dispute, under no circumstances will participants be permitted to obtain awards for, and hereby waive all rights to claim punitive, incidental or consequential damages, including attorneys’ fees, other than participant’s actual out-of-pocket expenses (e.g. costs associated with entering), and participant further waives all rights to have damages multiplied or increased. 13. SPONSOR: American Honda Motor Co., Inc., 1919 Torrance Boulevard, Torrance, CA 90501. 15. LIST OF WINNER/OFFICIAL RULES: To obtain the winner list or a copy of these Official Rules, send a request along with a stamped, self-addressed envelope to “Honda Fill My Garage Sweepstakes” Winners/Rules, 189 S. Orange Ave, Suite 1130a, Orlando FL 32801. Requests for the name of the winners must be received no later July 30, 2016. Vermont residents may omit return postage. 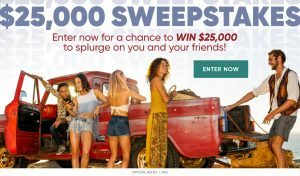 The Sweepstakes is in no way sponsored, endorsed or administered by Facebook, Instagram or Twitter. Twitter, Instagram and Facebook are completely released of all liability by each Entrant in this Sweepstakes. You understand that you are providing your information to Sponsor and not to Facebook, Instagram or Twitter.